This BuildBlock ICF Home Comfortable in Southern Heat with 45% humidity inside on a 100+ degree & 90% humidity South Carolina days. The home resembles triple wythe masonry, which is common in Charleston architecture and engineering. The window jambs and door details have the “Classical Architecture” and Old World look. Concrete is fundamental to architecture and engineering. 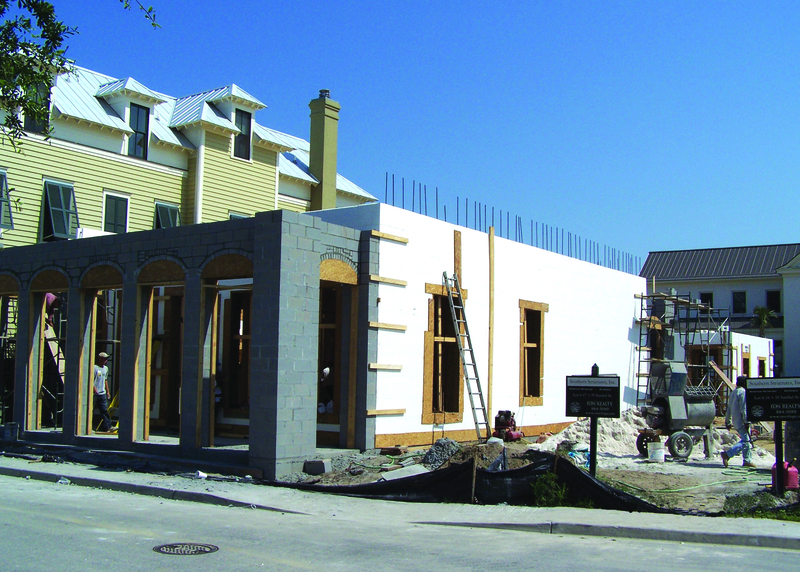 The ICF forms might seem novel to some, but it makes perfect sense once you see them in action. 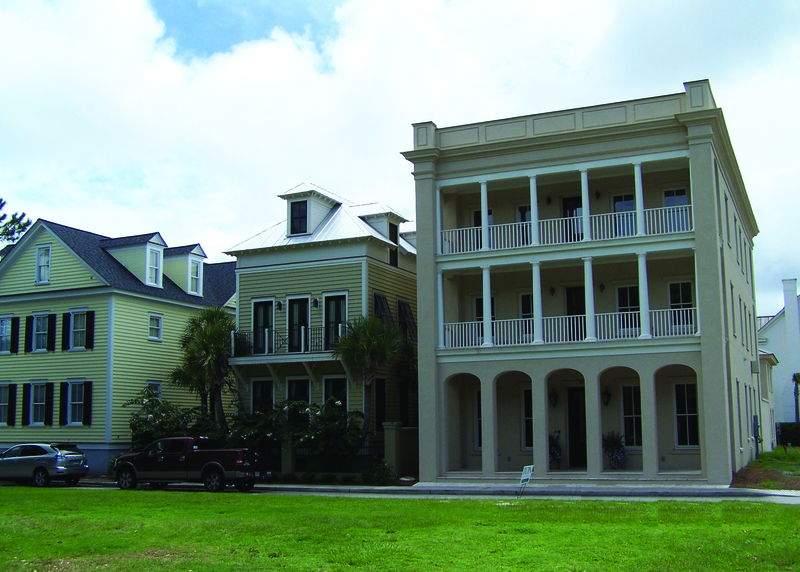 The New Orleans/Charleston style chosen for this project was dictated by the community patterns, and ICFs made it all the more simple to accomplish. ICFs walls and floors were used for all exterior elevated porches and the garage which keeps it very cool. 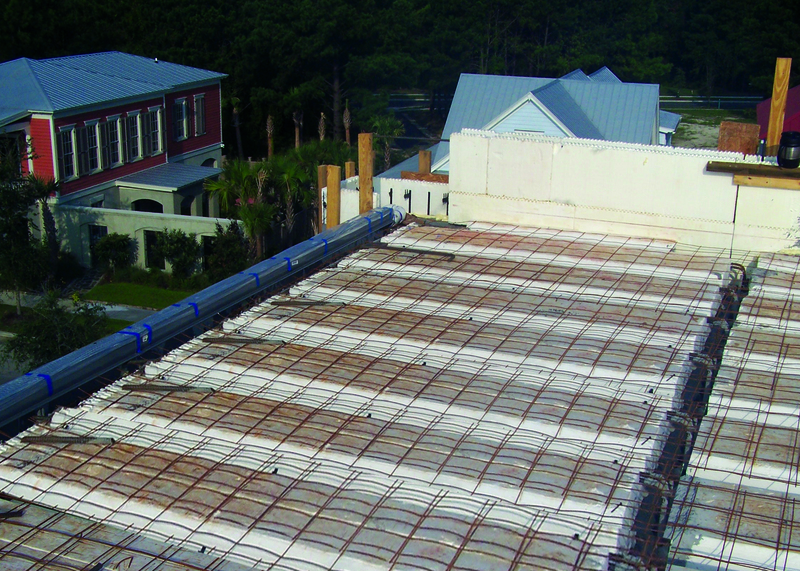 This project presented numerous challenges that would have been cost prohibitive, if not impossible, were it not for the use of ICFs. On a 1/16th acre lot, a 5,500 square foot home was built while maintaining over 4,000 sq. ft. of usable outdoor space. This exceeds the aesthetic parameters of the community with unmatched performance. The fact that this home maintains stable temperatures and 45% humidity on a 100+ degree South Carolina days experiencing 90 % humidity is a testament to the product in itself. stacked 12’ high, the floor system was then installed and then the walls were poured. The result is a straight and square wall and floor system where you could theoretically erode 1/3 of the foundation and it would still stand. 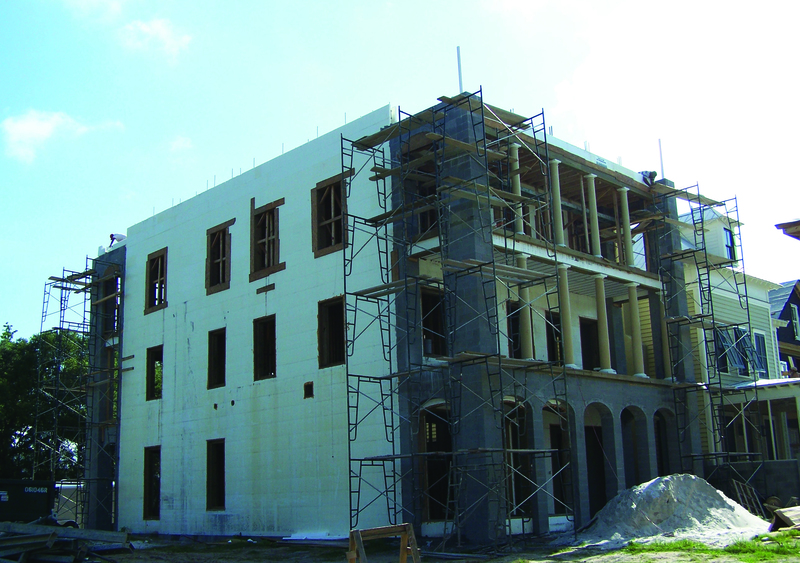 As the sole owner and operator of Southern Structures, Inc., Ben Daniel personally oversaw this and 4 other ICF structures being constructed simultaneously every day. His attention to detail and commitment to getting the job done right the first time kept this project on schedule. ICFs were critical to accomplishing this project. 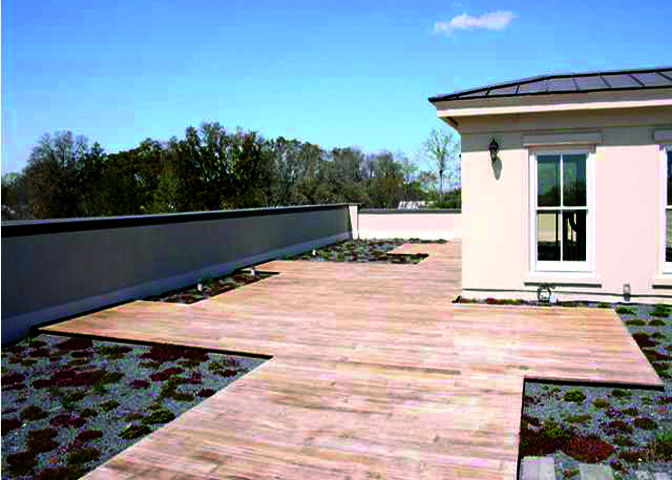 They also afforded the opportunity to create a “Green Roof”,(pictured left) over a 3 story structure. 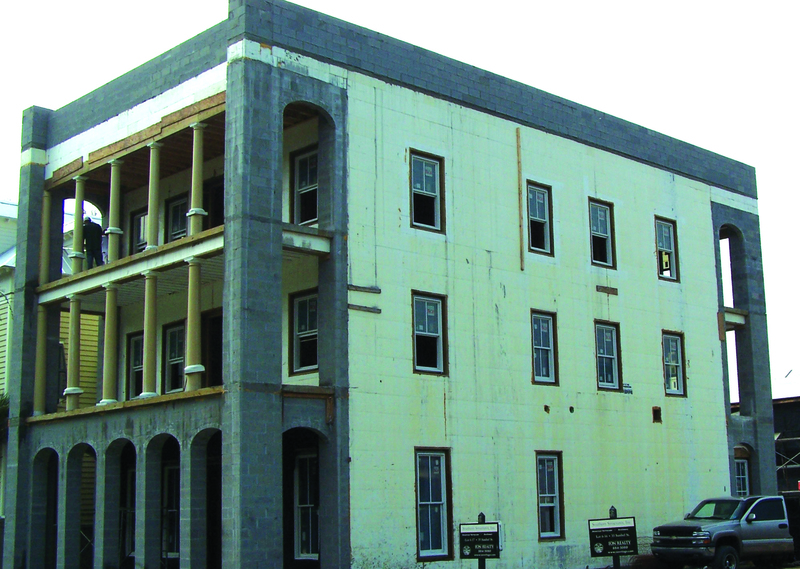 Because of the building constraints due to lot size and adjacent properties, waste and material storage was a serious concern. Again, BuildBlock ICFs solved the problem and we were able to build the home with virtually no waste and no damage to adjacent properties. All the ICFs could be stored on the slab. Their light weight made them easy to move around.